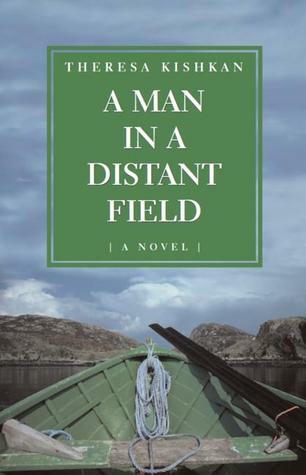 This book is set in the 1920s and is about Declan, an Irish schoolteacher who flees to the Sunshine Coast in British Columbia, Canada after his house, wife and children are destroyed in the Irish republican troubles. Half the book is set there, and half back in Ireland where he returns to rebuild and face his ghosts.I enjoyed this book not only because I was interested to find out more about Irish history but also because of the main character's interest in translating The Odyssey into his own language throughout, and how his own story of woe and trouble finds echoes from the ancient Greek, and his resulting solace. Many of the images in this novel are haunting, and the plot winds rather than moving compellingly forward, which for this kinds of story I found perfectly appropriate.The book is written with a clear, penetrating voice and the Irish lilt can be heard and felt throughout in a captivating way. It made me want to visit the Irish countryside and walk atop Irish hills to see the sheep and streams through the green land. Having visited BC's Sunshine Coast a number of times I could well picture the scenes set there.If you're interested in a book with a theme of working through the pain of terrible family loss then this might be the book for you. This book is in two distinct parts: west coast Canada and Ireland. In the end I appreciated how Kishkan interwove the protagonist’s growth through what he kept in his heart of his experiences of both places. But it seemed a long haul getting there. I found the first half directionless, found myself skimming. I wondered if Kishkan really wanted to write a non-fiction about the geography and history of Sechelt but decided to thread it with a few characters? The device of having Declan (protagonist) translate from Greek “The Odyssey” may have been clever, but felt contrived because there were just so many parallels to his own journey. Part 2 picked up with more characters and a sense of forward movement, a gradual understanding of how the author was knitting it all together and, every now and then, some truly beautiful passages of writing. I really enjoyed this book, although the last 50 pages or so felt really rushed to me. Canadian story of a man who suffered great tragedy in his life, trying to rebuild and finds happiness again. Good story, kept me interested. Some repetition and a bit predictable, but still a good read. (have read it twice now).